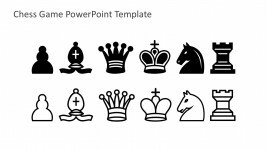 The PowerPoint slide contains a Europe slide design template, as evidenced by the watermark of the continent in the background, as well as the vector silhouette of the Eiffel tower, in purple, on the left side of the presentation design. 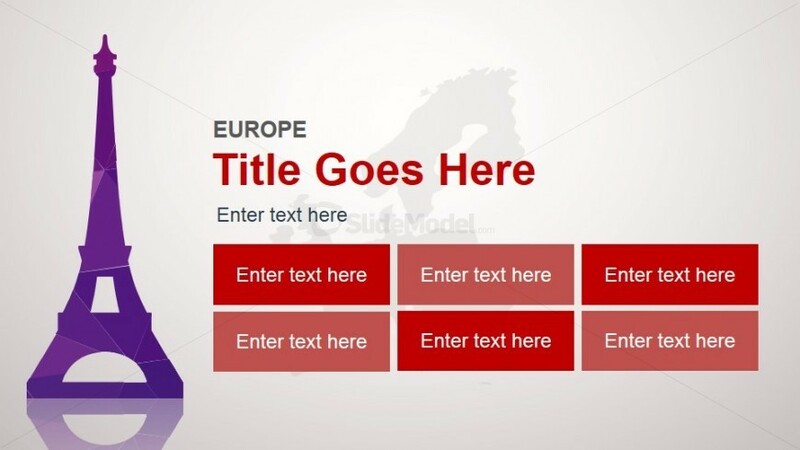 This PowerPoint slide may be used in presentation involving global business expansion, specifically, to branches in Europe. 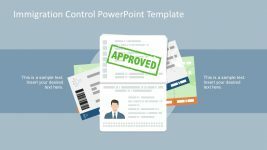 The main feature of the Office template is the set of six rectangular text placeholders which have colors that alternate between red and salmon pink. 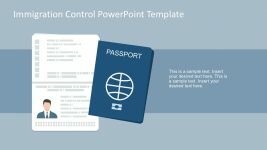 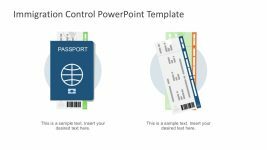 Relevant information may be placed in these text placeholders, while the title and the subtitle may be inserted in text placeholders below the label marked “Europe.” The PowerPoint objects are 100% editable to suit the presenter’s needs and preferences. 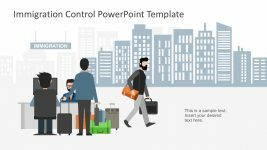 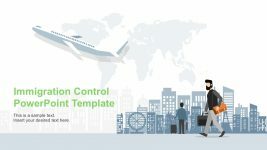 Return to Animated Continental PowerPoint Template.